Easy to maneuver basket truck efficiently transports bulk loads. 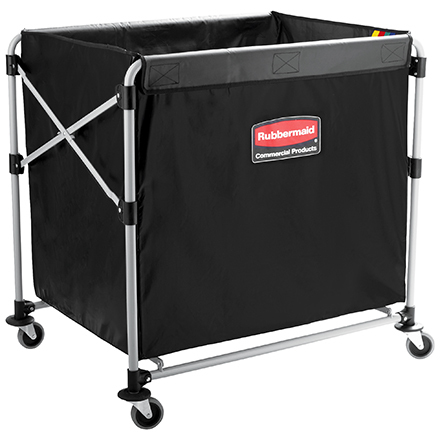 Collapsible frame reduces storage space by 75%. Stainless Steel, powder coated frame. Washable liner is durable - will not tear. Easy-to-clean, detachable, vinyl replacement liners available.